Dashboard cameras are ubiquitous in some countries, but haven’t quite caught on in the U.S. As an RV owner or even as a renter, they can be invaluable in clearing up questions about an accident—which will protect you and your RV from legal liability and help you receive insurance settlements quickly. Of course, they can also be used to capture great driving moments as you explore the country. The primary reason you want a dashboard camera is to protect yourself. Any time your RV is involved in an accident, there will be challenges as to whose fault it was. People’s memories are often altered by what they want to be true and by their financial motivations. Likewise, insurance companies are always trying to make sure they only pay out when they must. Accident reports and depositions can turn into a long game of he-said-she-said very quickly. These are dangerous and slow moving waters. With a dashboard camera, you have a reliable and objective witness to what happened from the drivers perspective. You can review the footage after an accident to see exactly what happened. You can use that video to defend yourself against false claims, be they fabricated or honest mistakes. With a video, the police and insurance companies can make determinations more quickly and accurately. If you need to file a claim or take someone to court, you stand a much better chance with video clearly proving your contentions. While protecting you is their primary purpose, dashboard cameras are also great for capturing an awesome driving experience. You don’t have to try and get out a camera while driving to capture a wolf crossing the road—the dash-cam is always on and always recording. Most models are mounted on the front windshield, near your rearview mirror, pointing forward. They are always on, recording both video and audio continuously. They record the video in segments from 2 to 10 minutes long. The more memory your unit has, the more segments it can retain. If it runs out of space, it writes over the oldest footage. Motion sensors in the camera can record when an accident occurs. When this happens, it locks the accident footage so it can’t be over-written. You can also manually tell the camera to lock the most recent footage if you think you recorded something cool. G sensor: The G sensor is essential as it detects when you have had an accident and automatically saves the video of it for you so there is no chance it gets written over. Don’t get a dashboard camera that doesn’t offer this. Memory: Most dash-cams will use micro SD cards for storage. Typically, you must buy this separately. The more you want to use your camera for taking travel videos, the bigger the SD card you should get. Most cameras will have a limit on how large an SD card they will support. Higher resolution cameras need more memory to an equal length of film. Viewing angle: The wider the viewing angle, the better. On some, this makes for a fisheye image, but more expensive cameras simply give you a wider picture. Video resolution: Higher is better, but typically you don’t need especially high resolution for accident recording. 1080p HD is the baseline for most decent dash-cams. Nighttime vision: Not all cameras have especially good night time recording, but most of the good quality ones do an admirable job of it. The very advanced ones may include IR. Price: Cameras can range from as cheap as $15 to as much as $700. We recommend trying to stay below $200. There are many top end cameras at that price point. Good, basic dash-cams can be bought anywhere between $50 and $100. 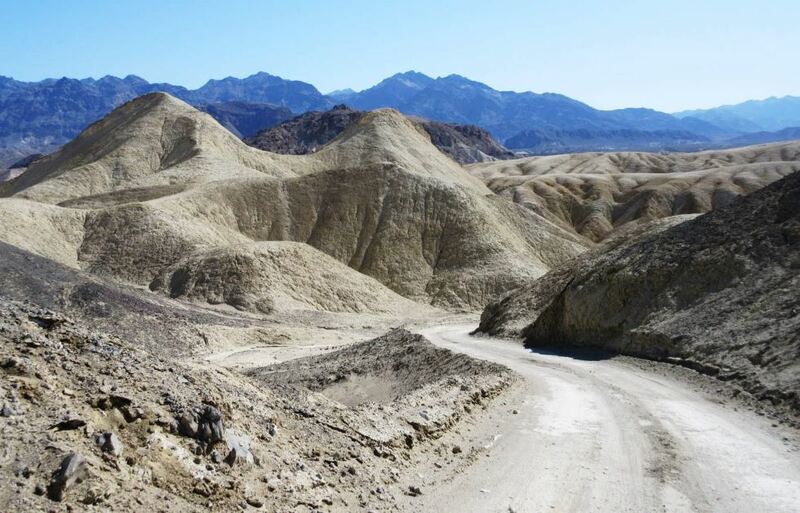 There are many spectacular off-road drives in Death Valley. This is from 20 Mule Road. Photo by Sigfried Trent. Small size: Small means it does not obstruct your view and it’s more likely to stay attached. GPS tracking: This is not essential, but it is nice to have an exact location that an accident occurred or to tag your travel videos with. Rear camera: Not all accidents take place in front of your car. The front camera is usually enough to establish most facts of an accident, but having a rear camera can really help protect you in parking accidents. Unfortunately, these are typically designed with a car in mind rather than an RV. We could not find any models that included a wireless rear camera. Video screens: Screens make it easy to review video and ensure the camera is working, but they can also be a distraction while driving. Small screens with simple controls are best. Cameras without screens are typically designed to connect wirelessly to a phone or tablet. Parking mode: Cameras with this feature will use a motion sensor to wake up and take video if anything comes too close to the vehicle while it is parked. This is mostly to protect you from a hit and run in a parking lot. This only works if the object is within the camera’s field of view so it is of less utility in an RV than a regular car. Parking modes require an external battery pack to keep the camera charged. Dash cams don’t have large batteries because it would be a safety hazard due to the cameras getting a lot of heat exposure on the front window. After exhaustive research, here are three cameras we feel offer great quality and excellent features for their price point. 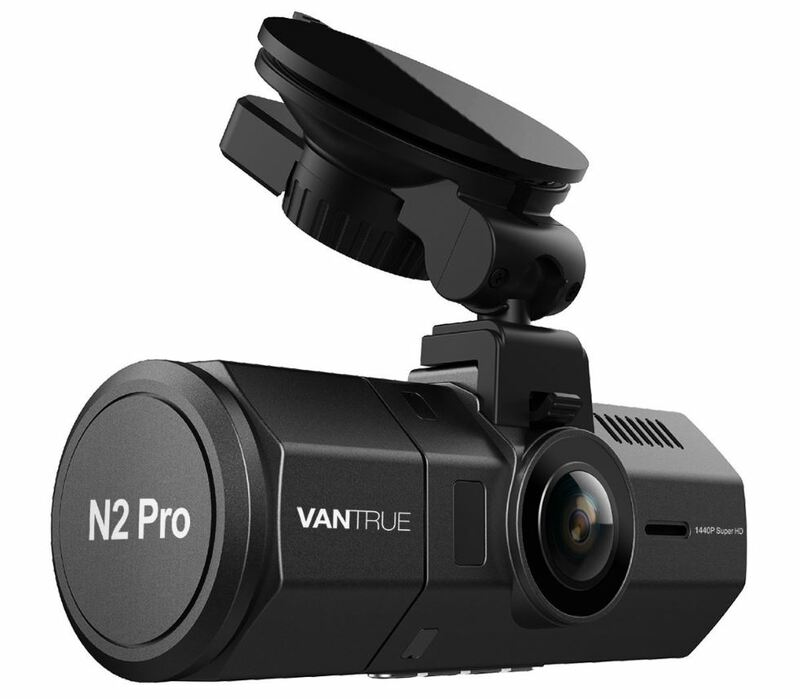 The Vantrue N2 Pro is our recommendation for a top-of-the-line dashboard camera for folks who want to maximize the quality of road trip video recording. 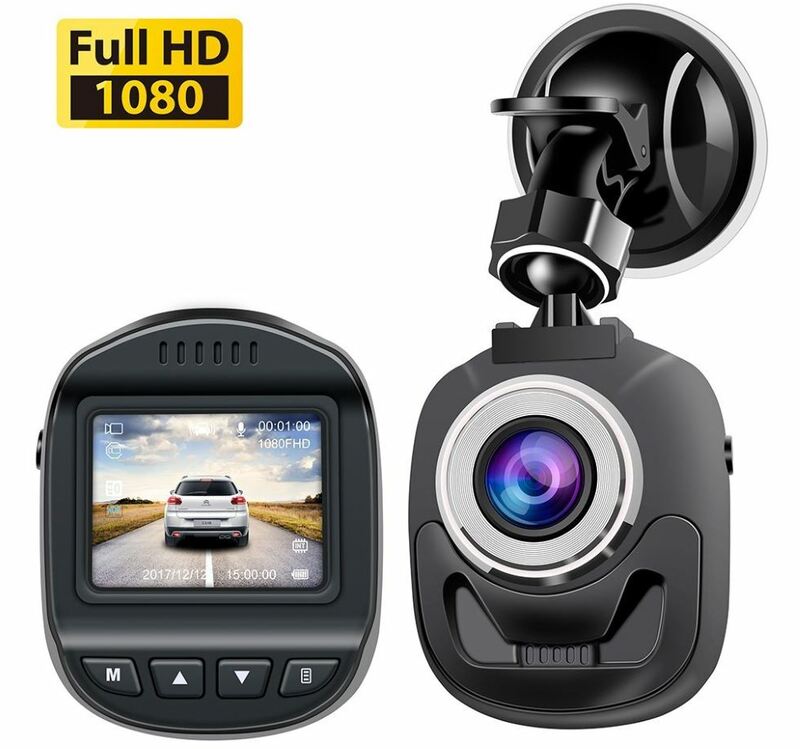 Two things make it stand out: it offers some of the highest resolution images of any dashboard camera as of June 2018 (4K – Ultra HD), and it has a second camera that records the cabin. You can record your trip while at the same time recording yourself talking about it. 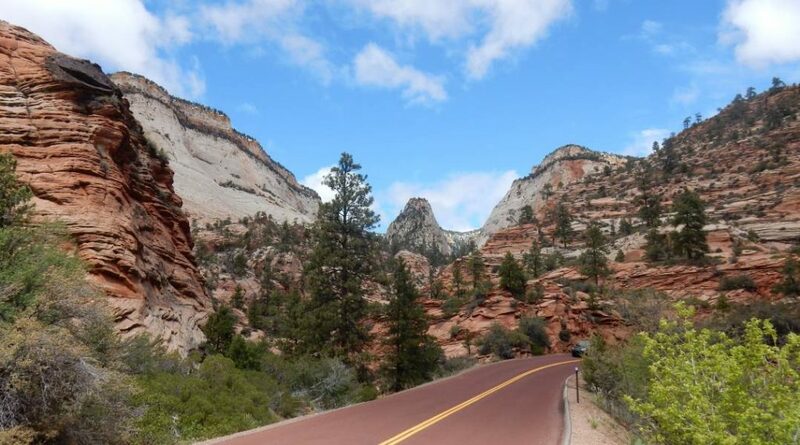 It was designed with Uber drivers in mind, but is also great for travel bloggers. This camera is unique in that it has infrared technology which lets it record in total darkness. This gives it the best nighttime resolution possible and you could even use it to take nighttime videos or to capture wildlife. It also has a 170-degree viewing angle with little to no distortion. The only feature this is missing is GPS. You can get the Vantrue N2 Pro for $199 on Amazon. This camera does have an LCD screen, on the driver’s side of the device. Photo by the manufacturer. The Rexing V1 is an ideal dash-cam for rental RVs. In addition to having pretty much all the core features you could want in a security dashboard camera, it has a slim “stealth” profile as it attaches just under the rearview mirror. This dashboard camera is thus out of sight and out of harm’s way. It also features a very wide angle of view at 170-degrees and a sterling reputation. You can usually find it on sale on Amazon for just under $100. The monitor on the driver’s side can be turned off to make it less visible. Photo by manufacturer. 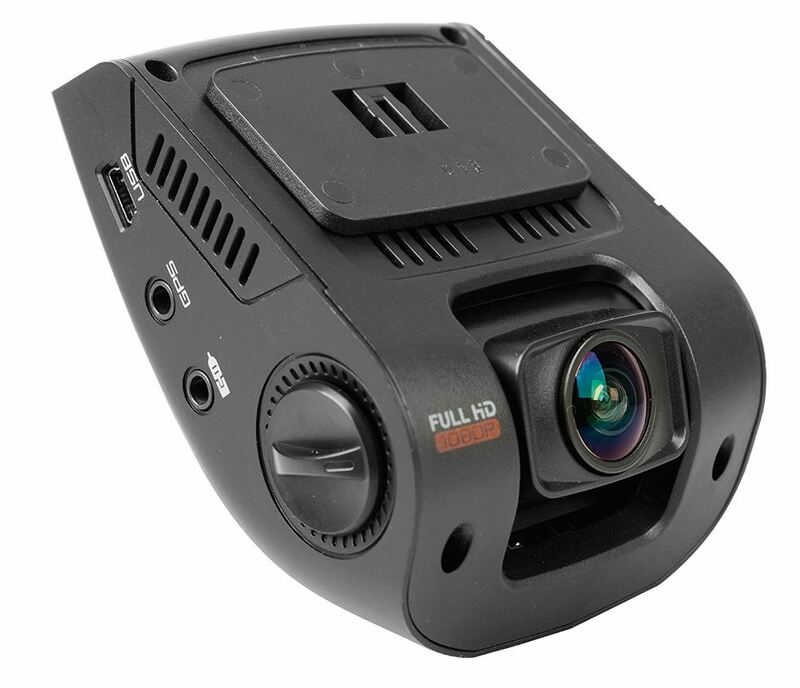 The Accfly Mini is a great choice if you want the protection of a dashboard camera, but want to spend as little as possible without buying a junk product. It is a fairly tiny camera, but it comes with features like motion sensitive parking protection that is normally only found on more deluxe models. You can pop it off its holder and use it as a still camera to capture the aftermath of an accident. The video quality is not the greatest, especially at night, but its enough to get the job done. Best of all, it can be bought for under $40. A tiny but charming little camera at a great price. Photo by manufacturer. There are a few things to keep in mind to stay on the right side of the law with dashboard cameras. Most U.S. states have laws against obscuring your view of the road by sticking things on your front, side, or rear window. Believe it or not, fuzzy dice are against the rules of the road in many states for this reason. When placing your dashboard camera, be sure to put it out of your critical field of view. Near the rear-view mirror, on the passenger side is usually ideal since the mirror blocks that part of the window anyway. The driver of the car should not be looking at the screen of the dashboard camera while you drive. Most dashboard cameras record sound as well as video and some states have laws against recording anyone without their knowledge or consent. If you are using your cam for safety, this probably isn’t an issue, but if you are recording videos to post online, make sure you have permission to record your passengers. And if you are renting your RV, let your renters know you have a dashboard camera in the vehicle for safety purposes. Most cameras that can record audio have an option to turn that off. Some dash cams that have GPS functionality have optional speed trap detection. This is not legal in all states, so if you have this, you are supposed to turn it off in states where it is not allowed. For accident protection alone, a lower priced dashboard camera is a great investment. Having been through an accident with a camera, and without, I can say from experience the difference is night and day. No ambulance chaser wants to take a case when you have clear evidence you are not at fault, and insurance companies pay out much faster when they can just watch and see what happened. If you want to have fun making driving videos, consider a high-end model that focuses on image quality. For more great RV security tips, check out our RV Maintenance Checklist, and for fun ideas to make your renters love you, check out our piece on Snacks to Offer RV Renters. If you don’t yet rent your RV, what are you waiting for? 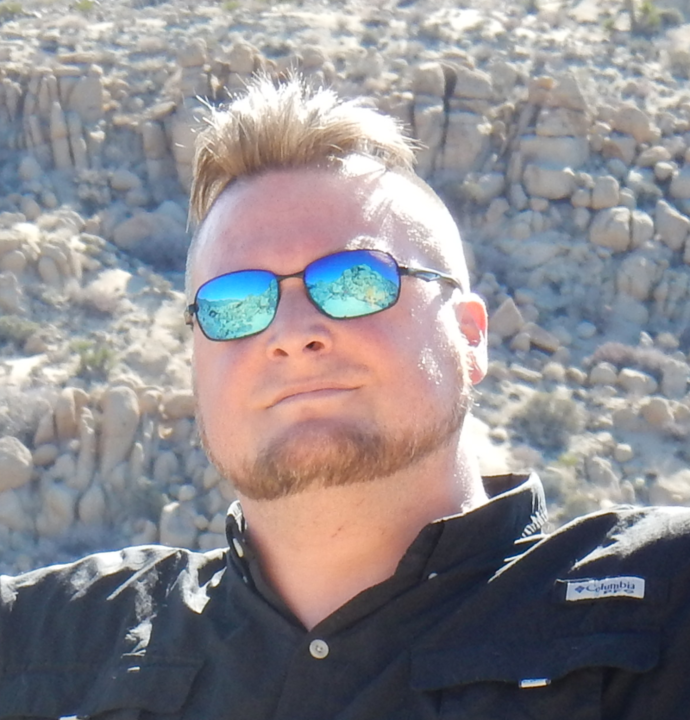 Outdoorsy can help you make money when you aren’t out on the road. It’s safe, secure, and profitable.